This is part of a series on basic-microscope. partsandcrafts was awarded the Basic Barnstar by stevie for their work in this research note. The Raspberry Pi Zero is an amazingly powerful and cheap device, and since it behaves more or less like the kinds of desktop computers most people are familiar with it is, in a lot of ways, relatively user-friendly. 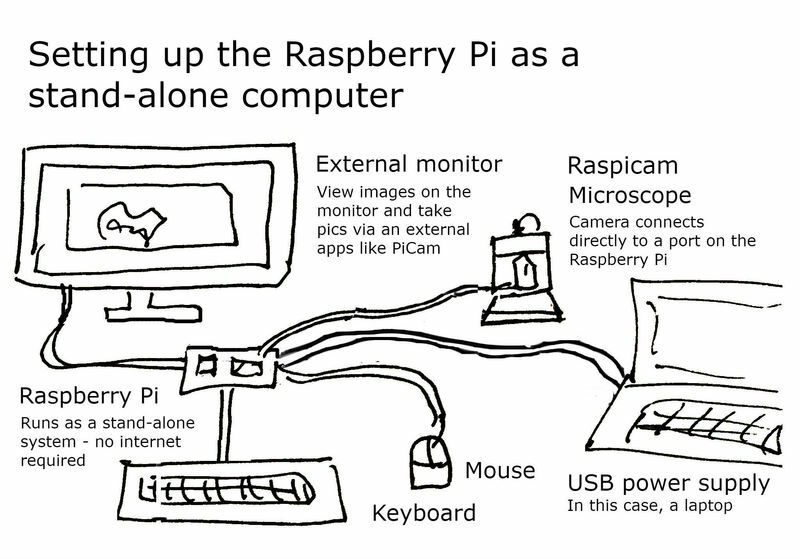 Here we'll show you how to set it up with the Raspberry Pi Camera module (v1 or v2) and connect to it to take photographs from your laptop. If you don't have exactly the right set of peripherals and cords and dongles getting the Pi up and running can feel extremely daunting, and getting all of the required components, if you don't happen to have them lying around, quickly adds up and stops being cheap. Above: three separate monitors plus a LOT of cables. Instead, and because of these two factors -- the difficulty that I've seen people outside of tech/computer hobbyists circles have setting up the Raspberry Pi, and the additional cost of getting all of the required components from scratch, I wanted a way for people to use the Raspberry Pi camera as a digital camera without really having to interact with the Raspberry Pi as a computer. In a perfect world, our Raspberry Pi Zero W would hook up to the camera, connect to the wifi, and then seamlessly know to display a live image on a website. 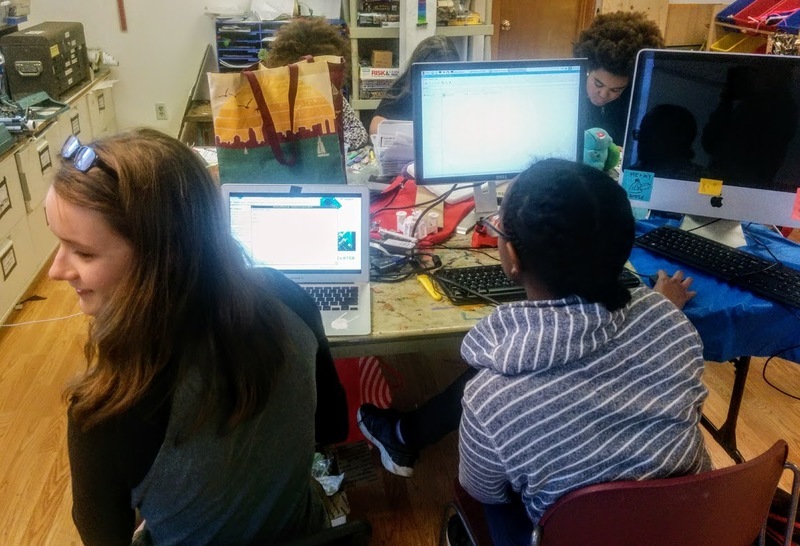 In a workshop or classroom setting, microscope users can be given a pre-flashed SD card with the appropriate software installed and will only need to edit a single text file to provide their WiFi login and password. This is admittedly a somewhat daunting task for many casual computer-users, but it can be explained in a step-by-step manner pretty easily. You'll be connecting to the microscope over WiFi, so it needs to be connected to your network first. Once you've written the SD card it will probably show up as two different drives on your computer. If you're using Windows you will see a "boot" partition (in my case, E:) and then an unreadable partition with a file system that Windows does not understand (in my case F:). Windows will throw some errors about this second partition and say that you need to reformat this second partition to use it. Ignore these errors. The only thing you need to do is replace "SSID_NAME" with your wifi network's SSID (the name of the network as it is displayed when you try to connect to it) and "PASSWORD" with your network's password. If there's no password on your WiFi network, see the comments for how to set this file up. After you make these changes, save the file and eject the SD card. Plug it in and start it up! Now you're ready to boot it up. Put the SD card in your Raspberry Pi and plug it in with the USB power cable where you see the circular power symbol (not the USB port, which looks similar!). 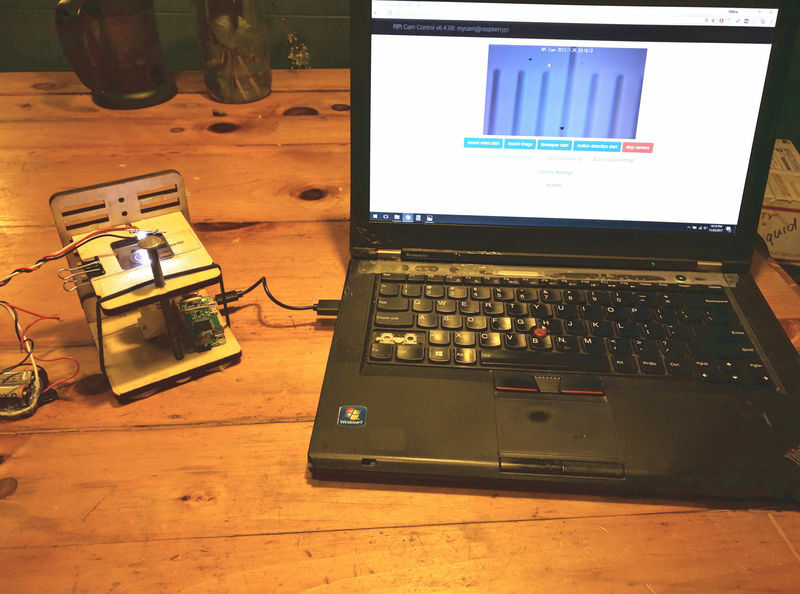 It will take a little while to boot, but after it does you should be able to visit http://raspberrypi.local on your laptop's web browser and -- connected wirelessly to the camera -- see a live image. If you are using Windows, your computer might not be configured to find the Raspberry Pi on your network using the http://raspberrypi.local address. Newer updates of Windows 10 seem to support this feature, but older Windows installations may not. @stevie awards a barnstar to partsandcrafts for their awesome contribution! Oh! The docs say "Clicking on the image will toggle between normal and full screen mode." Awesome! Hi, @partsandcrafts @wmacfarl @kgradow1 @bmela - i'd be happy to do some formatting work on this post if you want to add my username as a coauthor -- with:warren -- thanks! Awesome -- i used the image and it worked perfectly! That made it possible to simplify this one a lot. What do you think?